Welcome to Z Right Stuff. We are the manufacturer of the one and only Z-Bar miking bracket. 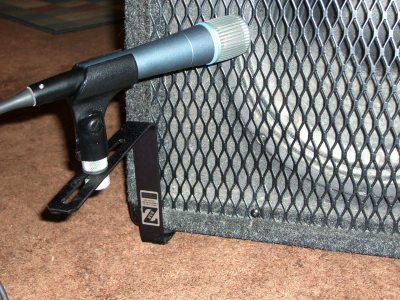 Designed for use on combo amps and speaker cabinets, the Z-Bar is favored by guitarists and sound engineers as a quick and convenient, lightweight yet rugged replacement for traditional floor mic stands. 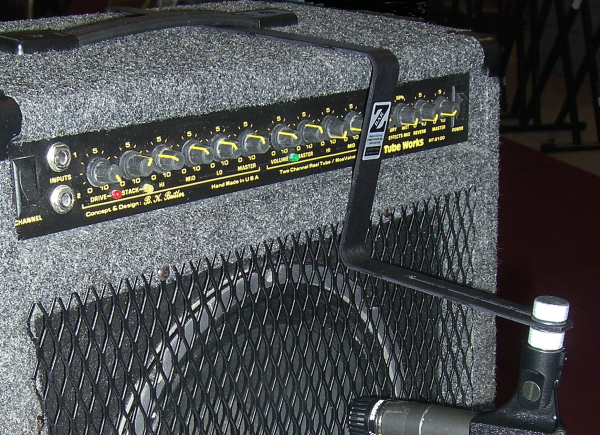 The Z-Bar is sold through pro audio and music retailers (see our Dealer List). Dealer inquiries are welcome. Facebook followers too! We are a small, family-run company, established in 1994. The Z-Bar and all its components are made in USA.